With WORKING WOMAN opening Wednesday here is Ariela's review from last year's Toronto Film Festival. 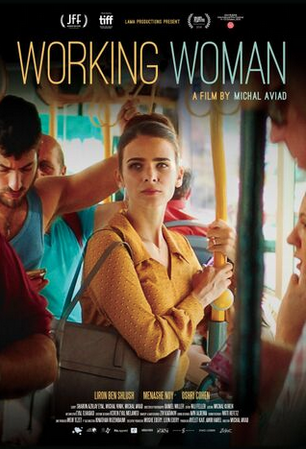 Working Woman is an Israeli movie about a woman named Orna who gets a job as an assistant to a powerful real estate agent. Orna has 3 kids and a husband who just opened a restaurant and is scrambling to make ends meet. Orna’s assistant job is promising for her to make money to help support her family, quickly being promoted into sales, but she has to deal with her boss’ sexual harassment. This movie was very timely, I thought it was really well done and as expected, it’s a very heavy film. I recommend it!